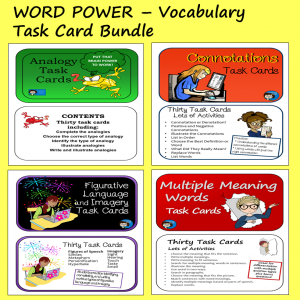 At a certain point in elementary school, students have learned their phonics and have a big enough store of sight words that reading then becomes more about comprehension and less about the words. In the early grades, kids had been working with words and expressions that then already know from speaking and listening. But at some point, they start to come across expressions and sayings that may not be familiar to them. 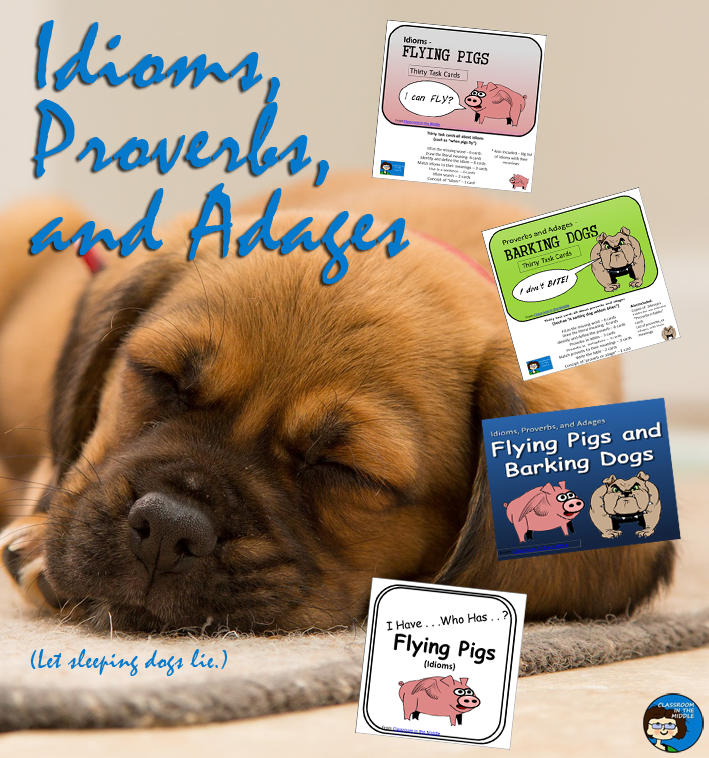 Particularly for kids whose first language was not English, many of the everyday expressions that the rest of us understand automatically may pose a big new reading challenge. 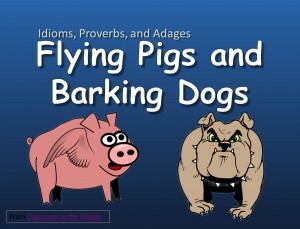 Idioms, like “when pigs fly,” and proverbs or adages, like”A barking dog never bites,” may be completely baffling. 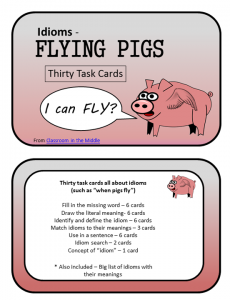 Do pigs ever fly? 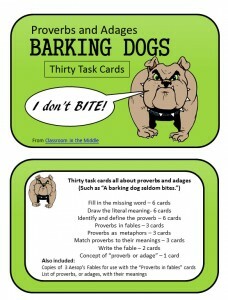 And barking dogs do seem dangerous sometimes. 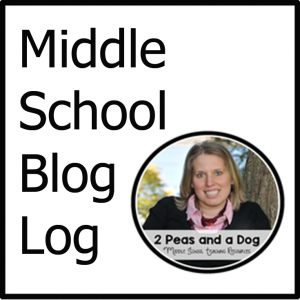 How do kids make sense of expressions that they aren’t already familiar with? Suppose that a student is called on to respond but can’t think of an answer. The teacher says, “Just go out on a limb – make a guess.” The student may be left wondering, what limb, and what does that have to do with answering the question. 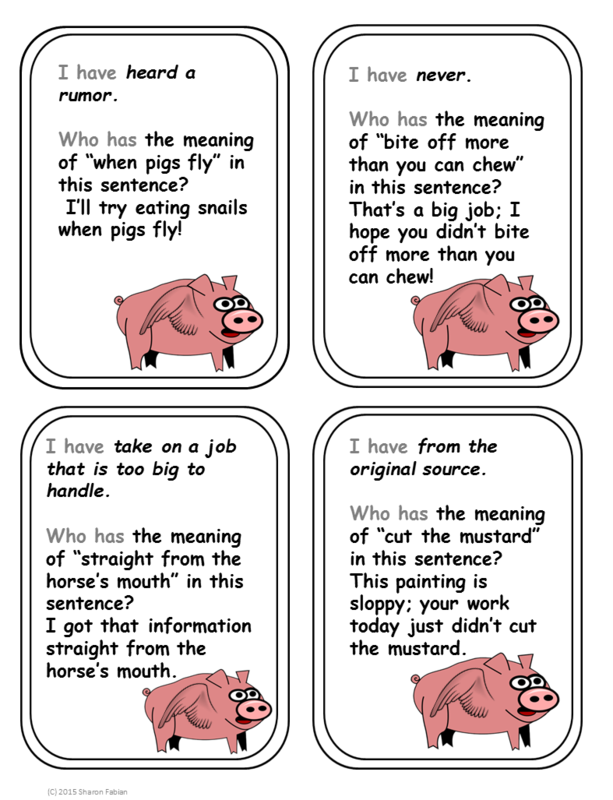 Unfortunately, there is no quick solution to learning this type of language. 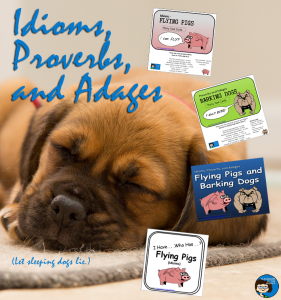 To learn idioms, proverbs, and adages, kids need lots of exposure to these expressions, and they also need to begin learning that expressions like these are really figurative language – not obviously true, but still true on a certain level. 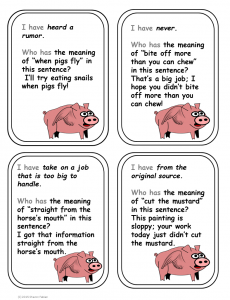 They are just so frequently used that they have become commonplace expressions. To be good at understanding this type of expressions, kids need to become familiar with as many everyday examples as possible. 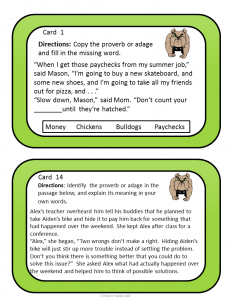 They also need to recognize that these expressions actually are figurative language so that they can figure out new ones examples as they come across them. 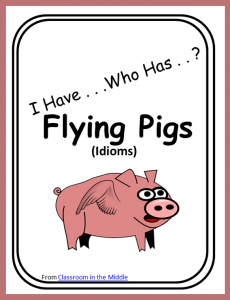 “Flying Pigs and Barking Dogs,” is designed to be used as an introduction or review, with explanations and examples of the concepts of idioms, proverbs, and adages for students in middle school or upper elementary. 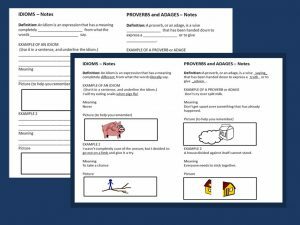 It provides whole-class practice identifying these expressions and explaining what they mean. 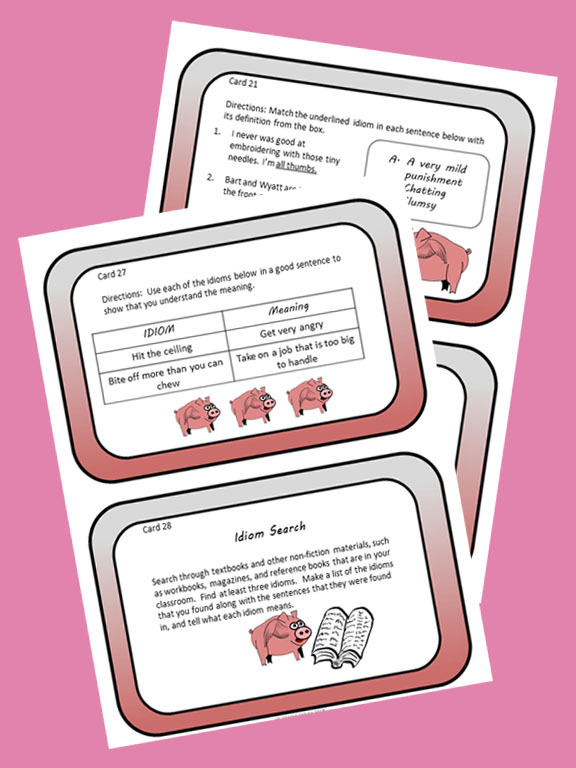 The last page of the PowerPoint is a student note sheet that you can print out in advance. 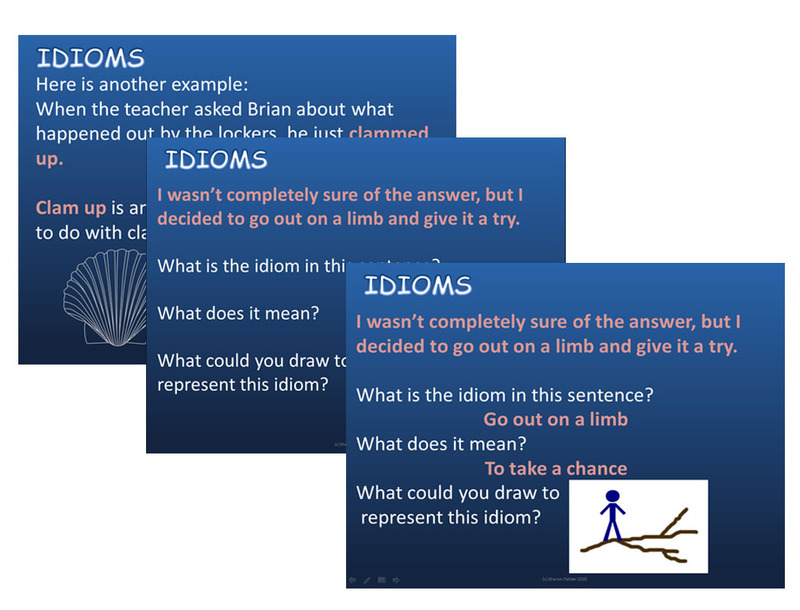 As students view the slides, they can be filling in the page for their notebook. 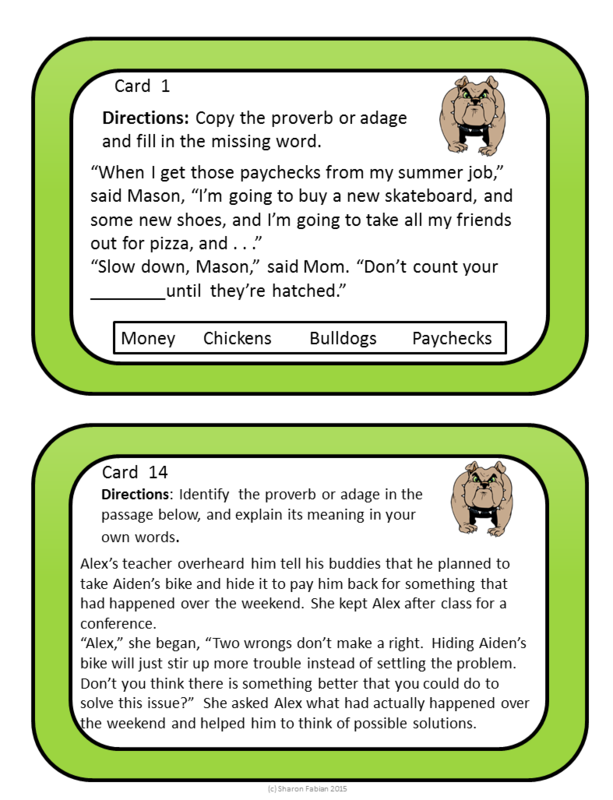 Both a fill-in-the-blanks version and a completed version are included. 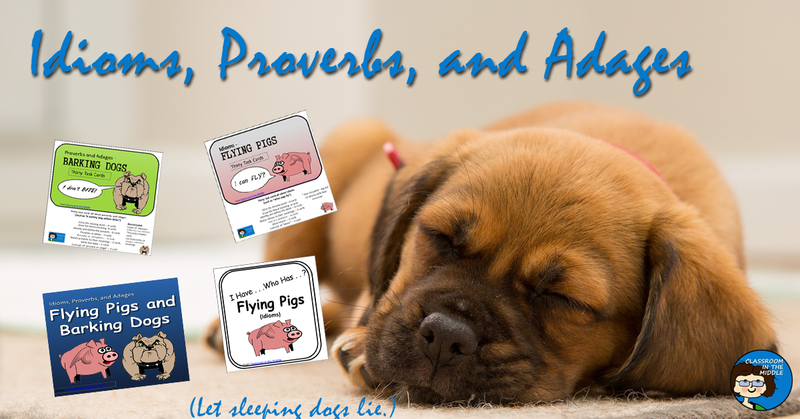 Proverbs and adages are a little more complex; usually they’re a whole statement, not just a phrase, and many are based on a traditional story. 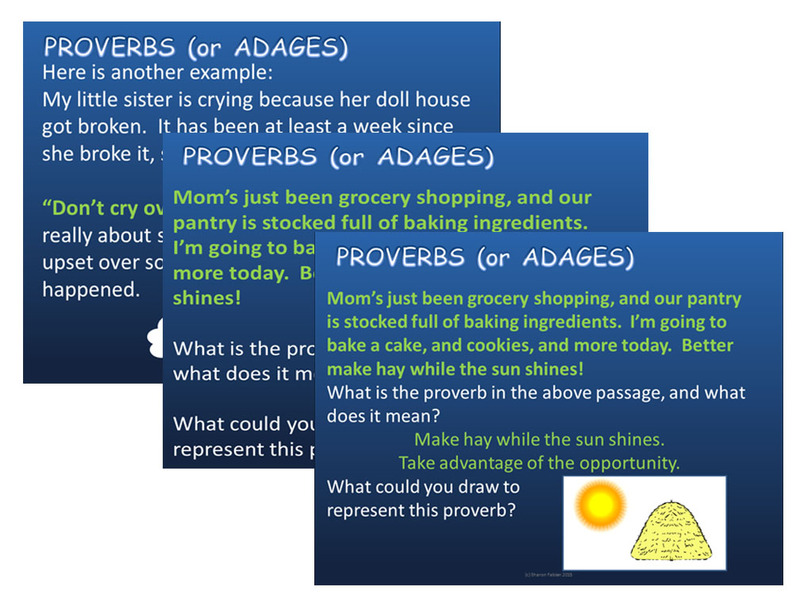 Teaching proverbs or adages might involve teaching stories that each lead up to a proverb. 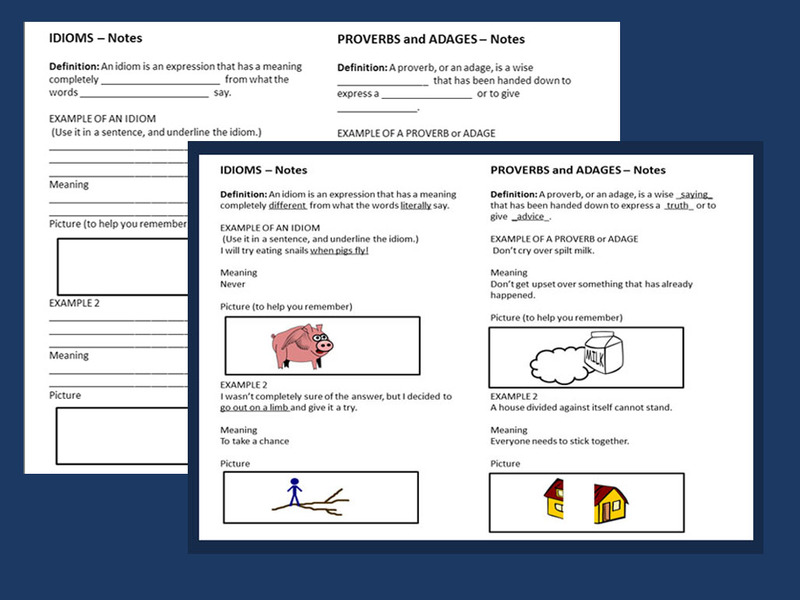 Students working on proverbs may be working mainly on comprehension, learning the proverbs as they go along. 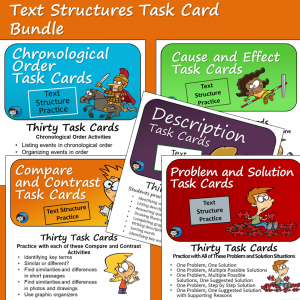 All of these resources are available from Classroom in the Middle. 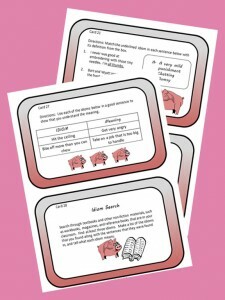 Click on any of the cover images to read more about them and to download a preview.